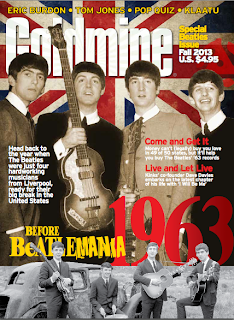 Goldmine has just run the 1963 Beatles photo by Chris Walter on it's cover. This is Chris's earliest available photo and is our symbol of his 50th Anniversary. The Beatles at a BBC show at the Royal Albert Hall in London just after having their first top 20 record with Love Me Do and at the time of the release of Please Please Me in the UK.